Sorry about two news roundup posts in two days, but this one has so many pictures that it had to be broken up. One of the Capcom producers (not KobaP) mentioned that new information will be coming at a faster pace soon! 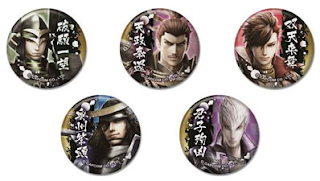 Continuing the trend of unusual tie-ins, Japan's annual Akai Hane Kyoudou Bokin ('Red Feather Community Chest') charity drive is set to include a Sengoku Basara 4 collaboration this year. 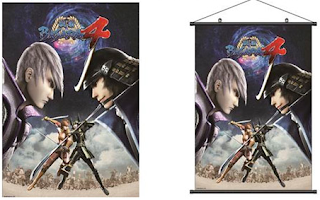 A special clear file will be available in 31 prefectures of Japan, featuring Masamune on one side and other Sengoku Basara 4 characters on the back, and in addition there'll be matching Sengoku Basara 4 posters carrying the charity's message. The goal of the collaboration is to raise awareness of the charity's work amongst a younger demographic. 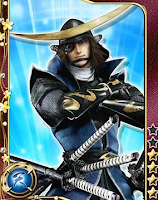 There's a poignant undercurrent to Masamune heading up the drive too: the charity is very active in areas hit by the 2011 earthquake and tsunami, which hit the Miyagi region that the real-life Masamune was closely associated with especially hard. 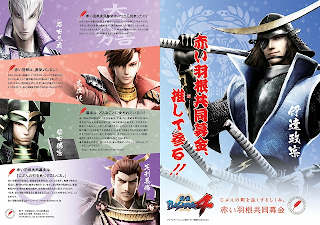 It was announced today that fans with feature phones will soon be able to play Sengoku Basara Card Heroes Matsuri on Mixi Games. People who register in advance between 19 and 29th August 2013 will receive a special in-game 'Are You Ready?' 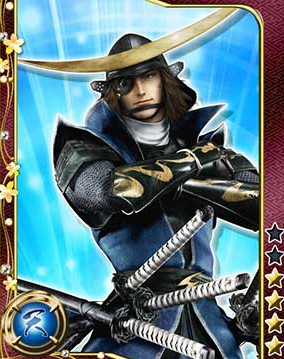 card depicting Masamune. This wasn't an announcement as such, however a huge wave of new merchandise listings appeared this morning on a number of online shopping sites. 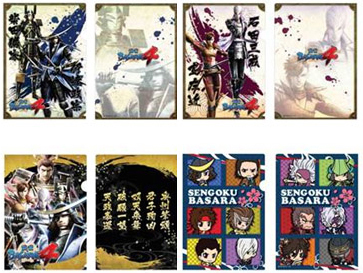 Here are the items which I've found so far, all dated for release in late September 2013. It looks as though Capcom want to make some money off their fans this autumn! Be careful as the translated AmiAmi listings imply they're all Sengoku Basara 4 images, when actually the 'deformed'-style drawings are nothing to do with the new game. 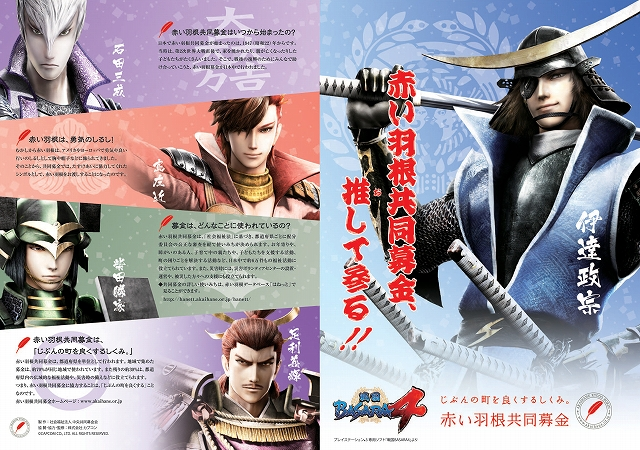 Having said that, I'm not sure I'd seen the 'deformed'-style Hideyoshi and Hanbee before now. It's a shame the early pictures are so tiny. Update 20/08/2013: Added Akai Hane story rather than posting yet another news roundup!